NTEP Certified - A&D EK 1200i - 1200 gram capacity X 0.1 gram accuracy Retail Scale with .1g accuracy A&D Everest Series EK 1200i Legal for Trade Scale Large LCD display 1200g capacity .1g resolution All of the scales are "Legal-for Trade". The balance you receive might say "not legal-for-trade in the counting mode". This is correct. 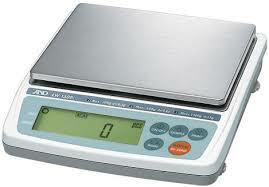 Scales are calibrated prior to shipping from the manufacturer; however, are not GUARANTEED Calibrated upon arrival due to shipping.